Our menu supports theming. A Theme is composed of some PNG icons, a default font, and a default wallpaper. The default white & red theme provided in Lakka is called Monochrome. The other complete theme is called RetroActive and has colored icons with a transparent border. There is also a work in progress theme, FlatUI. A fourth option, the Custom theme, allows you to design your own. From april 2016, you can switch to one of the other available themes. 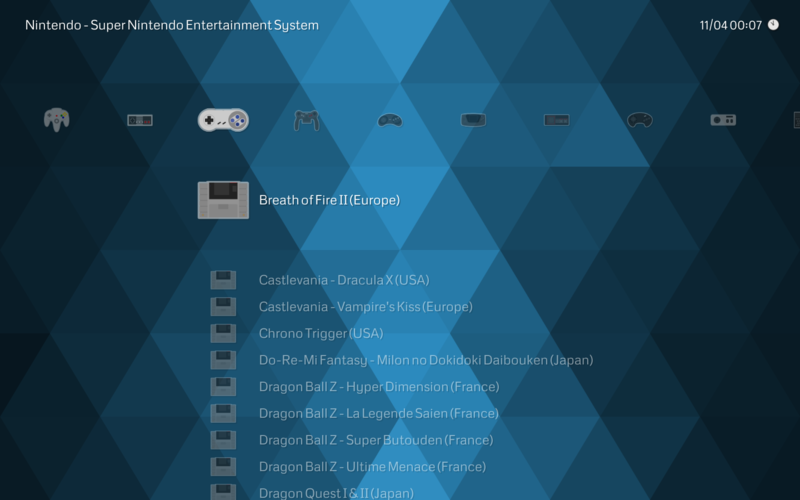 For this, go to Menu Settings, and change the XMB Theme option.